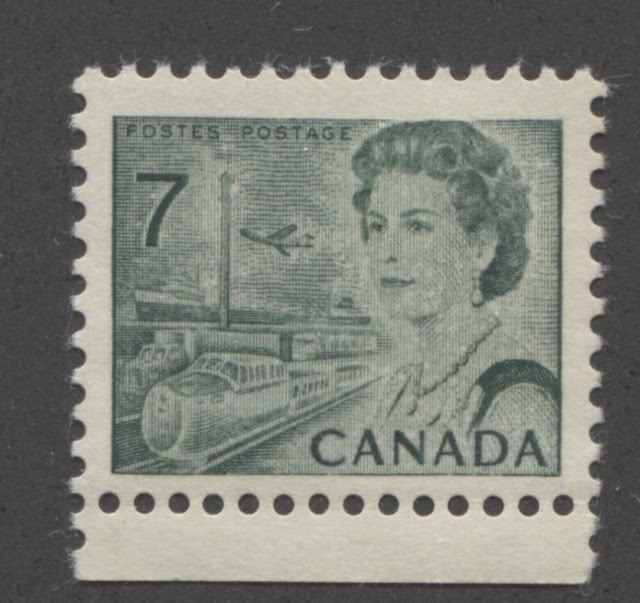 Today's post deals with the shortest-lived of the stamps of this fascinating issue: the 7c emerald green transportation stamp. The issuance of this stamp was brought about because of an increase to the first class letter rate on June 30, 1971, from 6 cents to 7 cents. This rate would again be increased to 8 cents on December 30, 1971, so that this stamp had a life of exactly 6 months. 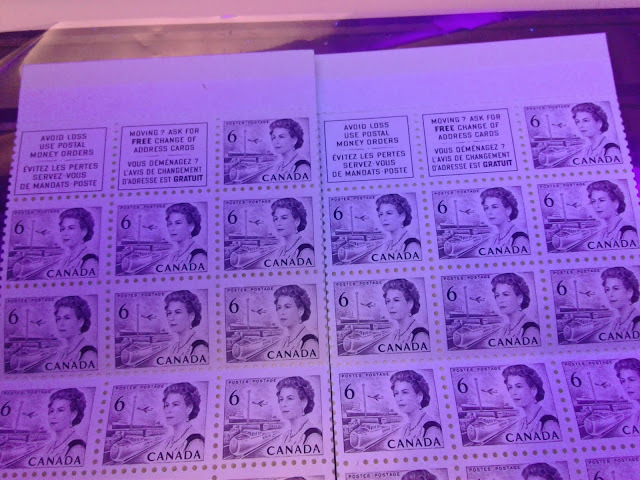 The design of the stamp was similar to the earlier 6c stamps, except that a network of fine vertical lines was added to the design, creating a very dark effect. This week's post comes a few days late, as I was away on a much needed mini-getaway to Vancouver for the Victoria Day weekend. This week, I will discuss the booklet stamps that were issued for the 6c black transportation design between January 1970 and the end of 1972.